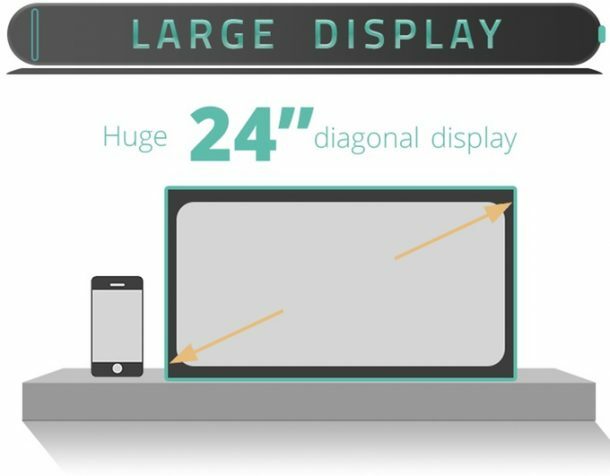 We have seen a plethora of screen projecting devices over the years, all trying to double our digital experience by making the screen bigger and better. 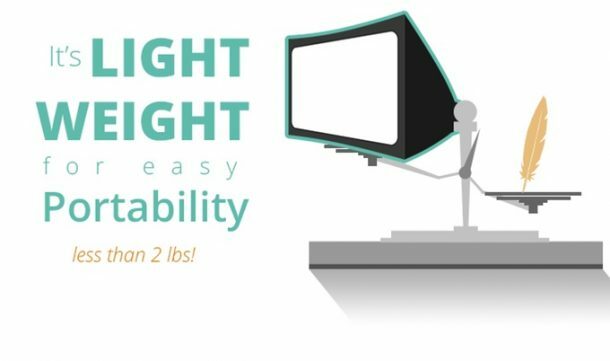 The prospect of a second display is indeed great, but carrying a second monitor around you is indeed a pain. In comes SPUD, which is a unique, portable and collapsible projector-and-screen combo that can be floated up like a balloon and used to project display of any sort. 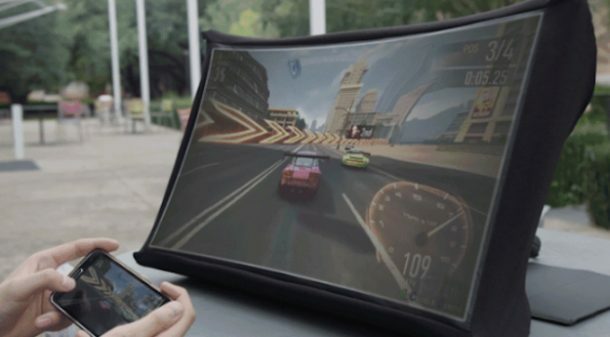 SPUD or Spontaneous Pop-Up Display was revealed in a Kickstarter campaign and seems to be a very handy and innovative idea. 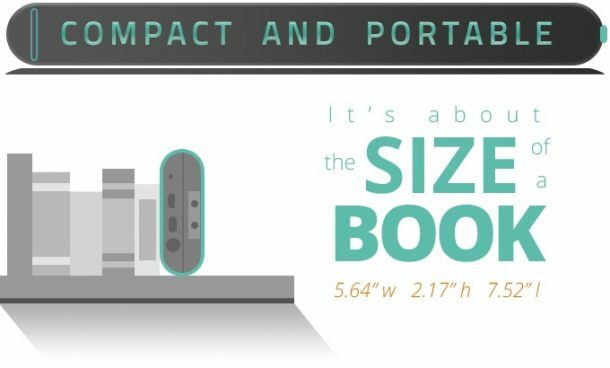 The screen looks like a deflated airbed when it is collapsed and can be folded into the size of a hardback book which weighs just under two pounds. It is more of an umbrella or a light diffuser when it is opened, where the projector is placed at the back of the unit and then displays the image on the 24-inch screen. The projector unit can be given an input using HDMI and USB ports, while its internal batteries last over three hours on full brightness. It also can connect with your WiFi connection and has compatibility with a range of streaming services such as Chromecast and Roku. So, from making presentations to playing your favourite mobile games on a big screen, SPUD is a handy solution. 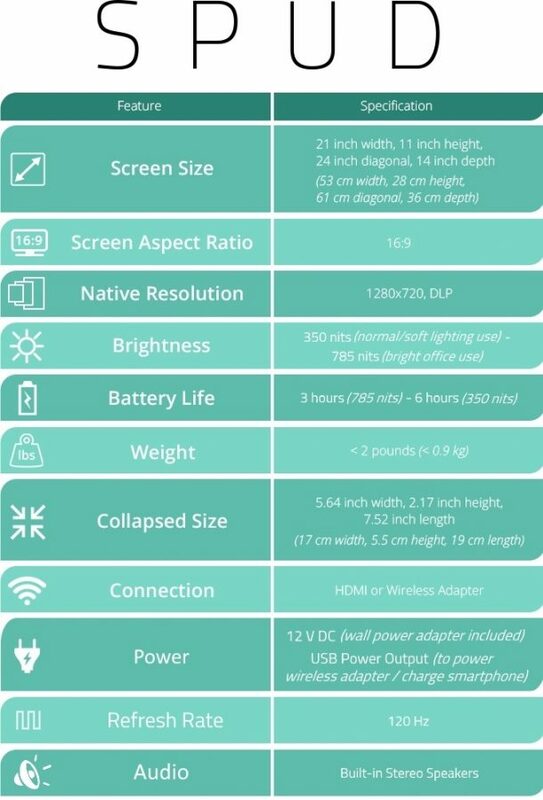 There are still some design problems such as the amount of space it takes up on your desk, and since the product hasn’t been launched in the market, no one is sure about the quality of the display. The prices for the SPUD are also on the higher side, starting at $374 on Kickstarter, which is about the same what a contemporary pico projector from Sony would cost. What are your thoughts on this projector innovation? Comment below!